Today, we are in Miami Gardens celebrating the No Roof Left Behind project with City Roofing and Construction and Mario and Candy Famada. Pristine Property Management is excited to be a sponsor of this program. It’s a national effort that’s getting amazing results. No Roof Left Behind is a nonprofit organization and they rally the community together to vote for a person in need to get a new roof. So today, Tiosha King is the winner who will receive a new roof by City Roofing and Construction, and we are celebrating her entry and the fact that we can come together to provide something that is needed. We are excited to be a part of this celebration and we’re also excited about the No Roof Left Behind program. For any questions about what this program does for the community and how we are involved, please contact us at Pristine Property Management. 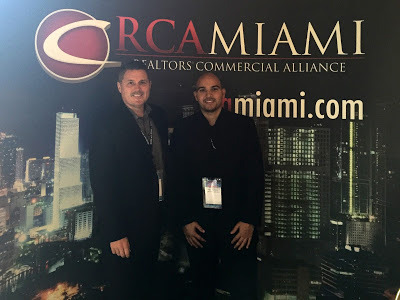 This past Friday we attended the RCA Super Conference at the Biltmore Hotel in Coral Gables, an event focused on the growth and globalization of Miami. At Pristine Property Management we always strive to be up to date on what's happening in the real estate market and anticipating what the future holds for our ever-evolving city.